Duchess Helene was born on 15 November 1924 in St Leonards on Sea. She was the third child and only daughter of Duke Georg and his first wife Duchess Irina. Born at 131 London Road in St Leonards on Sea, Duchess Helene was the second member of the Grand Ducal Family to have been born in the United Kingdom after the first child of Grand Duke Friedrich Wilhelm and Grand Duchess Augusta. She was christened into the Roman Catholic Church receiving the names Helene Cecilie Therese Maria Immakulata Viktoria Sophie Franziska Monika. At birth Duchess Helene bore the title Countess of Carlow due to her paternal grandparent’s marriage not having received dynastic recognition. 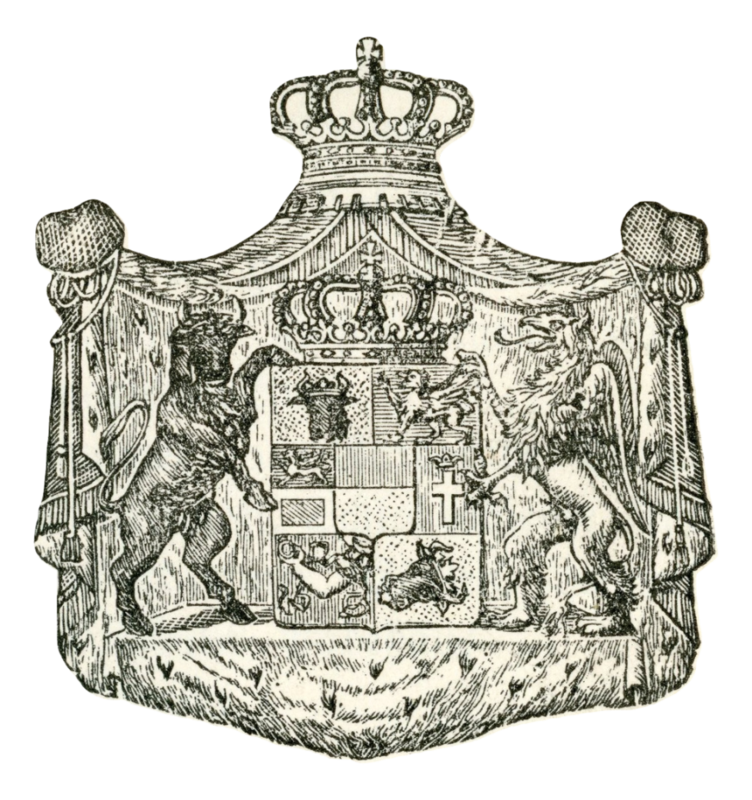 This situation changed on 11 September 1928 when along with the rest of her family Duchess Helene became a member of the House of Mecklenburg-Strelitz and a Duchess of Mecklenburg following their adoption by her great uncle Duke Carl Michael as his dynastic heirs. Duchess Helene spent her early years in Germany at the Remplin Palace in Mecklenburg until it was largely destroyed in a fire instigated by the local Nazi authorities during the night 10 to 11 April 1940. After the loss of their Remplin home Duchess Helene and her family and their staff including the children’s English governesses and French tutors took up residence in a villa at 4 Nikisch Street in the Grunewald quarter of Berlin. She lived here for the next four years until February 1944 when the villa was destroyed during an Allied bombing raid. Following the loss of a second home Duchess Helene and her family went to live with her brother in law and half sister, Prince Franz Ferdinand and Princess Irina of Isenburg, at the Birstein Palace in Hesse. In August 1944 Duchess Helene’s father was arrested by the Gestapo, only gaining his freedom in February 1945 following the intervention of a Papal nuncio. A month after his release the family reunited in Sigmaringen having been invited to the town by the Princess of Hohenzollern. Following the end of the Second World War, Duchess Helene remained in Sigmaringen living with her parents in the Prinzessinnen-Palais at 9 Karl Street. She lived here until her marriage in Hinterzarten on 10 February 1955 to widower Hassan Sayed Kamil, a Swiss-Egyptian engineer and businessman. 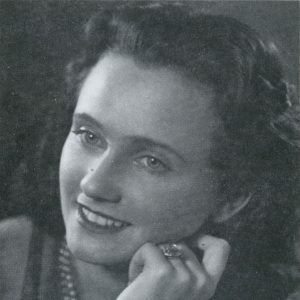 Through her marriage Duchess Helene became step mother to her husband’s young son Karim whose mother Otty Laila Kamil-Lott was the only fatality in the Sabena OO-AWO plane crash in Zürich on 19 December 1953. Following the marriage Duchess Helene moved to her husband’s native Switzerland, living on Restelberg Street in Zürich. Her husband’s businesses Mechanical Corporation (MECO) and Motoren Turbinen und Pumpen AG (MTP) were headquartered in the city, while Duchess Helene served as Vice President of the Board of Directors of clothing manufacturer Cosma Costumes et Manteaux SA. Duchess Helene gave birth to their daughter Sheila in 1958 in Chur. In July 1962 Duchess Helene and her husband were holidaying on the island of Sylt in Schleswig-Holstein. She left the island on 7 July in a plane chartered by her husband’s company with just her and the pilot on board. The flight was scheduled to land in Düsseldorf where a family friend was to take Duchess Helene to the Netherlands to attend a christening. However the plane never reached its destination coming down for unexplained reasons in flames in Riesenbeck killing both Duchess Helene and the pilot Hans Tinnefeld. Duchess Helene’s funeral was held on 12 July 1962 at the Church of the Redeemer in Sigmaringen, following which she was interned alongside her mother in the family crypt in nearby Inzigkofen. A requiem was also held the following day at the St Martin Church in Zürich. Duchess Helene’s widower later remarried and emigrated from Switzerland to Canada with his new wife Leonora Gross during the 1970s. He died at his home in British Columbia in 1991. Duchess Helene’s daughter Sheila studied computer graphic design at Sheridan College in Canada before spending a number of years working for the Canadian government. She later worked as a life and business consultant based in Hawaii. Sheila died on 21 March 2018 in Victoria, British Columbia in Canada.